Dr. Sugarman is the Harvey M. Meyerhoff Professor of Bioethics and Medicine, professor of medicine, professor of Health Policy and Management, and deputy director for medicine of the Berman Institute of Bioethics at the Johns Hopkins University. He is an internationally recognized leader in the field of biomedical ethics with particular expertise in the application of empirical methods and evidence-based standards for the evaluation and analysis of bioethical issues. His contributions to both medical ethics and policy include his work on the ethics of informed consent, umbilical cord blood banking, stem cell research, international HIV prevention research, global health and research oversight. Dr. Sugarman is the author of over 250 articles, reviews and book chapters. He has also edited or co-edited four books (Beyond Consent: Seeking Justice in Research; Ethics of Research with Human Subjects: Selected Policies and Resources; Ethics in Primary Care; and Methods in Medical Ethics). Dr. Sugarman is a contributing editor for IRB and is on the editorial boards of several academic journals. Dr. Sugarman consults and speaks internationally on a range of issues related to bioethics. He has served as senior policy and research analyst for the White House Advisory Committee on Human Radiation Experiments, consultant to the National Bioethics Advisory Commission, and Senior Advisor to the Presidential Commission for the Study of Bioethical Issues. He also served on the Maryland Stem Cell Research Commission. Dr. Sugarman currently serves on the Scientific and Research Advisory Board for the Canadian Blood Service, the Ethics and Public Policy Committee of the International Society for Stem Cell Research, and the Board of Directors of PRIM&R (Public Responsibility in Medicine and Research). 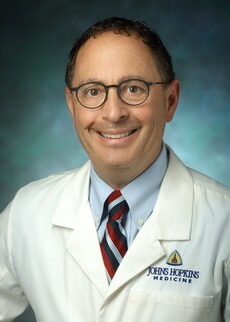 He is co-chair of the Johns Hopkins’ Institutional Stem Cell Research Oversight Committee. In addition, he is chair of the Ethics Working Group of the HIV Prevention Trials Network and is the ethics officer for the Resuscitation Outcomes Consortium.